Given below is the list of Top Architecture Colleges in India 2019. Architecture as a stream has gained acceptance in India over the last decade. With a vast architecture history and a growing urban infrastructure India is bound to have a demand for architects. Also, do you know that the institutes in our country are Asia's most respected and reputed colleges for architecture. Click and know about the best architecture colleges in India through NATA and JEE Main exam. School of Planning and Architecture is an architectural institute that was established in the year 1959. Sir Jamsetjee Jeejebhoy College of Architecture is considered as Asia’s first architectural school, which was founded in the year 1913. Chandigarh College of Architecture is one of the leading architectural institutes in the state of Punjab. Goa College of Architecture is a higher educational institute that was established in the year 1982 by the Government of Goa. Sushant School of Art and Architecture was established in September 1989 by Chiranjiv Charitable Trust. Rachana Sansad Academy is an architectural management institute in Mumbai, which was set up by the year 1955. 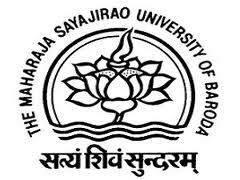 Kamla Raheja Vidyanidhi Institute for Architecture and Environmental Studies is a higher educational institute that was established in the year 1992 by the Upnagar Shikshan Mandal with some financial support from Kamla Raheja Foundation. Aayojan School of Architecture is a premier architectural institute in Jaipur that was founded in the year 1999. Faculty of Architecture - M.
College of Architecture, IET Bhaddal, Ropar is an architectural institute in the state of Punjab that was founded in the year 2004. Chitkara School of Planning & Architecture in Chandigarh is a university that was founded by the Chitkara Educational Trust in the year 1998. 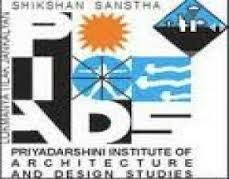 Priyadarshini Institute of Architecture & Design Studies is a higher educational institute that deals with architectural and engineering courses. Asmita College of Architecture, Mumbai was established in the year 1991 under the aegis of Dr. I get 136 in nata and 261 in jee paper 2.i m from gujarat and in obc. Which college is the best for me?